Looking for orthodontic braces in Coral Springs, Florida? 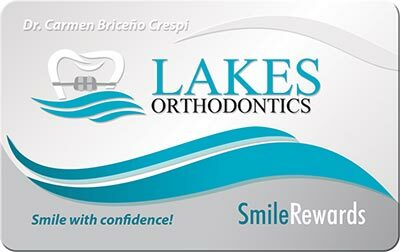 Lakes Orthodonitcs is a leading provider of Invisalign and braces in the South Florida area. When you are ready to stop being conscious about her smile e-mail us today! Orthodontic Braces is a device that many individuals have to help adjust their teeth. Braces are capable of doing much more than improve your smile, but you you need to take time to clean them in the right way. There are numerous tips that you should know about when taking care of your braces; like flossing & brushing. You must carefully sanitize your braces plus your teeth to to make certain that there is no plaque build-up. To accomplish this, you should floss and brush your braces and teeth correctly. There are many steps that you ought to take when doing this. The initial one is to set out your braces for brushing. To achieve this, you have to take off the elastics on the braces as well as any other removable parts. These parts may become damaged once you brush and definately will create issues. You are going to have clean your braces using your brush. You need to hold the brush at a 45-degree angle to be sure that you clean around the wire and pins. You should clean each wire from top to bottom and take your time to ensure that you eliminate all the debris and plaque. We recommend that you begin with the braces on your upper teeth and then the lower teeth. After you have cleansed your braces, you should cleanse your teeth. Each tooth needs to be cleansed individually with a circular motion. You must be careful with the level of pressure you apply when cleaning your teeth and brush the outside and inside surface of the teeth. Once a day, you need to floss your teeth. Your dentist should demonstrate to you the easiest way to floss with the braces which you have. You have to adhere to these directives and use a flossing product which has been designed for use with braces. After flossing, you must rinse your mouth with some water or mouthwash. You need to then examine your teeth and braces in the mirror to look for spots which you might have missed. If you find any, you should clean that area again to ensure that your braces are well looked after. During the time that you may have your braces, you will need to regularly see your dentist. This should will aid keep your braces and make sure that are set correctly. Routine tweaking is going to be done throughout the time you might have braces and you will feel a bit of tightness during these periods. The visits will even give your orthodontist the opportunity to make sure that your braces are still in good shape. If you notice anything strange with your braces, you need to tell the dentist if you visit them. Troubles with the braces can often be fixed fairly easily if they are caught early and they will not result in pain. There are a number of tips that you should know about when handling your braces. Cleaning your teeth and braces correctly is critical and you should take time to do that correctly. You should also be truthful with your orthodontist with regards to and issues that you may have. For more details about the Coral Springs orthodontic services offered by Dr. Crespi of Lakes Ortho stop by at our blog.